The low winter sun hasn’t yet arrived but I’m already thinking about next summer’s veggie harvests. I’ve lost hours this week on the computer, browsing one garden website to the next, looking for new and exciting seeds for next year. Trying to get the best deal, picking up one packet of spaghetti pumpkin seeds, before putting it down and picking up another variety. So much choice, so much to think about, so much pleasure to be had! But it wasn’t all about seeds this weekend, it was finally time to plant my bulbs. From alliums to garlic to tulips, these bulbous wonders will create a spring display that’ll have all my neighbours twitching at their curtains for weeks. Living in a terraced victorian house, we have the smallest of front gardens. Neverthess, over the years I’ve managed to push some of my floral designs to the limits. From frothy Bishops Weed flirting with thriving Cosmos, to twelve foot sunflowers dominating the street, I try to raise the bar every season, and spring 2017 will be no exception! 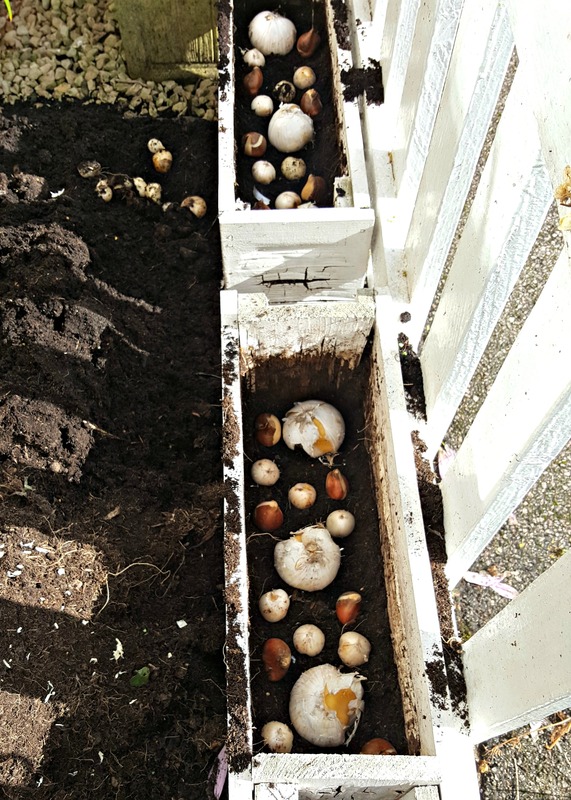 Removing the last of my summer display, cultivating, then replenishing both the bed and pots, I quickly set about planting bulbs. Looking at the selection it does seems a lot. However, I’ve gone with the lasagne style of planting. 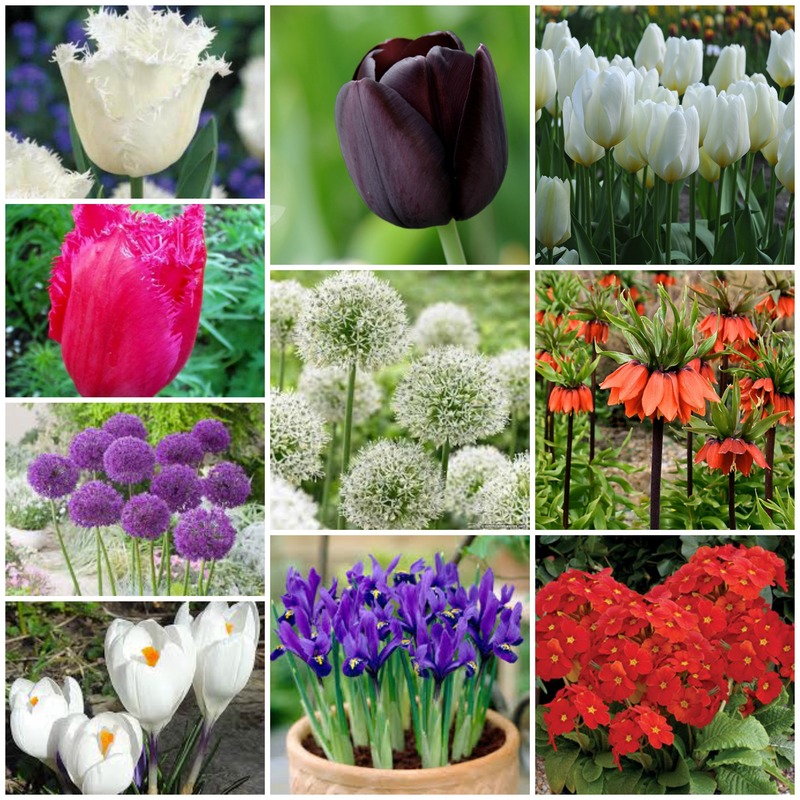 For example my bottom bulbs are the alliums, next up are the tulips, and finally near the top, my early bulbs (Crocus & Iris). So as one variety finishes, the baton is passed over to the next. Meanwhile up on the allotment, I cleared away several plots, turned the soil and started to wind down certain areas. 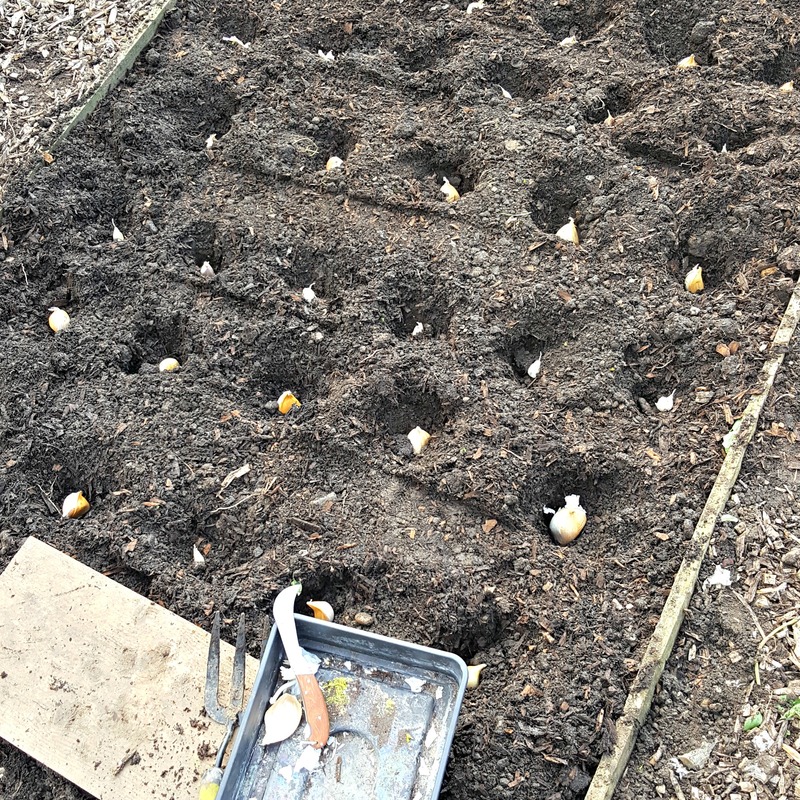 It was also time to plant garlic cloves. This year I’m being a little more restrained and not planting as many, in fact I’m only going to plant two varities, Red Duke and Elephant garlic. Both have different flavours (Elephant garlic is milder), but both seem to cope well with garlic rust, a big problem on my allotment. Lastly, check your bulbs before seperating and planting. If you come across ones which are soft, discoloured or rotting, get rid of them immediately. 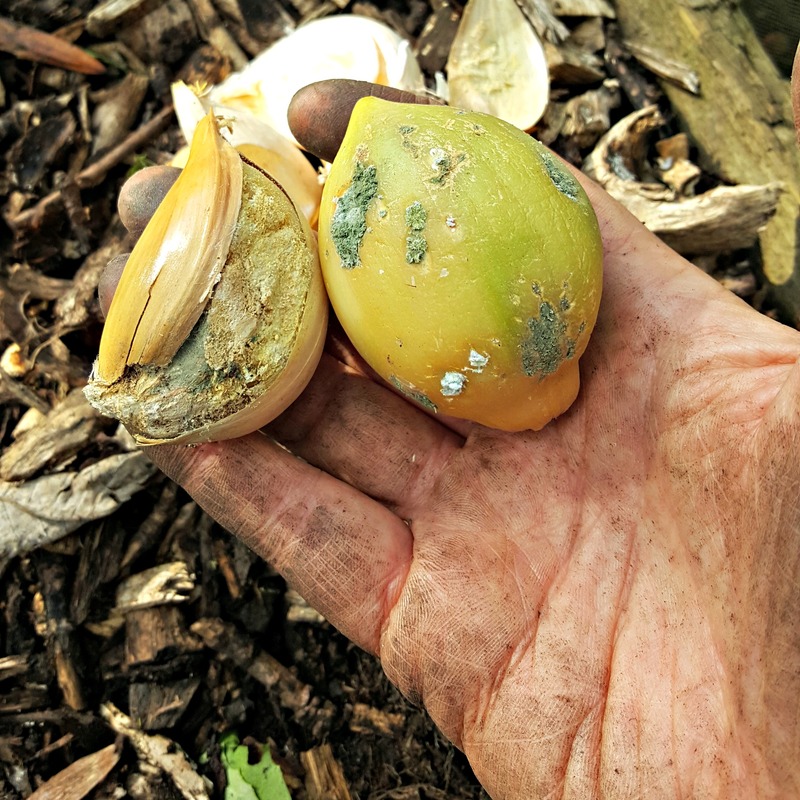 If garlic related diseases are a problem for you, you’re only encouraging them by planting these affected cloves. Furthermore, if they do grow, they’ll never reach their potential. Spring may seem a long way away, so while there’s plenty of time, think about what you like eating, what floral colours make you smile and what you hope to grow. The beauty about garden planning is, it’s never set in stone and is always open for change or something new.